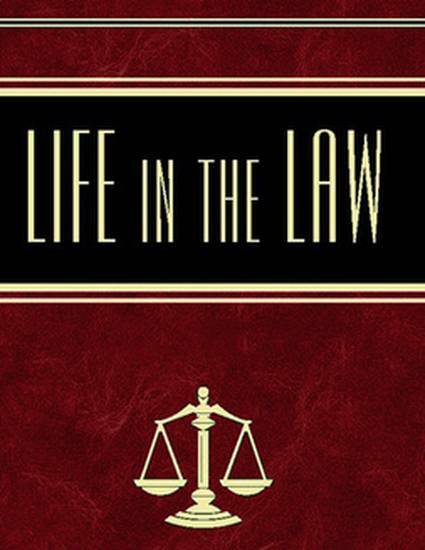 "Life in the Law: Answering God’s Interrogatories"
This book contains a prized collection of exceptional essays by thoughtful men and women who have examined things that matter most in both their professional and private lives. Most of these pieces were first published in the Clark Memorandum, the J. Reuben Clark Law School alumni magazine. A few are from other sources. All of them address important questions about the experience of being a Christian attorney. Elder Marlin K. Jensen’s 1997 talk introduced the idea of "answering God’s interrogatories." Eventually, God will ask every professional several penetrating questions. The articles in the first section of this book ask, "Adam, Where Art Thou?" and speak to the concepts of balance, purpose, priorities, and preparation. The next section, "What is Property Unto Me?" looks at materialism, economic issues, greed, and integrity. The third group considers what a faithful lawyer does, focuses on service to others, and ponders "Unto What Were [We] Ordained?" The final section, "What Think Ye of Christ?" examines our duty and devotion to God, asking about our relationship to the master Advocate of us all, Jesus Christ. These essays point to the questions He asks of each of us in this life (and will equally ask us in the next) concerning what we’ve made of our lives in mortality. The authors explore their own choices in addressing these pivotal questions through instructive circumstances and people they have encountered along life’s way.